Wastes, particularly agricultural and wood processing wastes, are important because they can provide a cheap source of biomass which will help biomass power generation establishes itself. Over the longer term these sources will not be able to provide sufficient fuel for a mature industry. That will have to be provided by dedicated energy crops grown on special plantations. Such plantations will also be important from an economic point of view, to provide security of fuel supply to a biomass power plant. Energy plantations in Europe, North America and Brazil already supply the raw material for liquid biofuels such as ethanol and biodiesel. There are also experimental energy plantations in both Europe and North America which supply fuel to power or combined heat and power plants. The Philippines, too, has experimented with wood production for energy. These experiments have already identified a number of crops that are promising energy sources. Fast-growing trees such as willow, poplar and eucalyptus are among the most encouraging. These trees can be grown in a coppicing system where the wood is harvested on a 3-7-year cycle. Grasses offer another extremely promising crop. Prairie switch grasses in North America and Miscanthus grasses in Europe can be harvested each autumn and will regrow during the following year. The energy content of a biomass fuel depends on its water content. Most woods, when cut, contain around 50% water and will have an energy content of around 10 GJ/tonne. When the wood has been dried this will rise to 19 GJ/tonne as shown in Table 15.1. Straw from cereal crops is usually harvested with a moisture content of 15% when it had a calorific value of 15 GJ/tonne. However grasses such as Miscanthus are virtually dry when harvested in the autumn when their energy content is 19 GJ/tonne, similar to that of dry wood (see Table 15.1). Coal, by comparison, has an energy content of 27 GJ/tonne. Source: Energy Technology Support Unit, UK Department of Trade and Industry. Source: US Department of Agriculture. 14tonnes/ha/year whereas woody crops can yield close to 13tonnes/ha/ year. Higher yields have been recorded in both the USA and other parts of the world, as high as 27tonnes/ha/year for woods and 20tonnes/ha/ year for Napier grass, but the US figures represent practically attainable yields under prevalent conditions today. For the future, new strains are already beginning to show higher yields. This is a trend that is likely to continue. In fact experience is showing that it may be more cost effective to replace a coppice crop like willow or eucalyptus after it has been harvested once because new, higher-yielding strains will already be available. On the basis that 1 ha of plantation can produce 10-12 dry tonnes of fuel each year, a 10-MW power plant will require around 7000 ha dedicated to its use. Where is this land to come from? It was initially assumed that biomass would be grown on marginal cropland or waste land. Recent experimental work has suggested that this strategy is unlikely to prove cost effective and that energy plantations require good arable land. In both Europe and North America there are now sizable areas of arable land that are set aside either because of overproduction from modern crops or for environmental reasons. This land could be used for energy crops without affecting levels of food production and while maintaining a diverse and attractive environment. In other parts of the world agriculture is not so highly developed and levels of production are much lower. In these regions it must be considered dangerous to divert agricultural land for energy crops. Thus biomass-fired power generation based on energy plantations is most likely to mature first in the developed countries of the world. There are a number of technologies available to convert biomass into electricity. 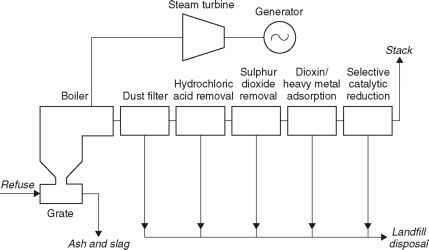 The most widespread is a simple combustion furnace and boiler, similar to that used in a coal-fired power station. This technique, generally called direct firing, is a relatively inefficient method of biomass utilisation. A second technique, biomass gasification, offers the prospect of considerably higher efficiency. This technology is currently in the development and demonstration stage and is more expensive than direct firing. An intermediate approach is to burn a small proportion of biomass mixed with coal in a coal-fired power station, a process known as co-firing. There are also a number of other more specialised techniques. 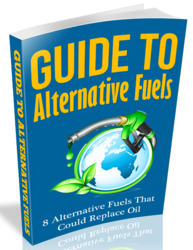 These include biomass digesters for converting animal wastes into a combustible gas. Biomass can also be converted into liquid fuel which can be burned in internal combustion engines.